We’ve come a good way in developing a cosmic framework and map for ourselves based on Pythagorean principles, as well as coming to understand the mysteries of the Greek letters in their roles as entities and functions of the creation of the cosmos. I also hope you’ve kept up on your meditations, dear reader, since they’ll only ever come of more and more usefulness as we continue this path. Last time, we analyzed the geometry of the tetractys and devised a set of 24 paths that connect the different units on the diagram, allowing us to think in terms of processes between stages of manifestation and existence in tandem with and instead of thinking of the cosmos as a series of levels or plateaus. I want to take a brief segue here before we go onto ascribing the 24 letters of the Greek alphabet to the paths, instead so that we can talk about using a subset of the paths and how we can use them in meditation of one of the most commonly-seen names of God throughout Hermetic and Western magic for the past 2000 years: that of IAŌ, or ΙΑΩ. This name has been declared mystical for so many reasons, not least because it has an etymological origin in the Tetragrammaton of the Jews. Hebrew didn’t have a means for marking vowels, so all things were only marked by consonants; some of the letters pulled double-duty as vowels, but the practice varies from dialect to dialect, and the use of dots and lines (neqqudot) to denote vowels is a relatively recent creation. Thus, the pronunciation of the divine name spelled Yod-Heh-Vav-Heh, or YHVH, has long since been forgotten, although there’s good reason to think it was pronounced something like “Yahweh” or “Yahwoh”. The Ionic Greek alphabet has no means to describe a “w” sound (since Digamma was obsolete) or a “h” sound (since Attic Greek lost this sound in its development), and the only means to describe a “y” sound would be to use Iōta. The use of Vav-Heh, VH, on the end of the Tetragrammaton likely produced a lengthened “o” or low “uh” sound, and the closest agreement to that in Ionic Greek script would be Ōmega. Thus, the Tetragrammaton was likely written in Greek as a trigrammatic word ΙΑΩ, “ya-oh”, though it might be pronounced by those in the know as “ya-woh” or “ya-hoh”. However, even considering its Judaic origin, the rules of grammatomancy give this word a special meaning, too. Each of these letters is a vowel, and each vowel represents a planet; Iōta represents the Sun, Alpha the Moon, and Ōmega Saturn. Saturn is the most distant of all the planets, and the Moon the closest, with the Sun representing the balance and middle of the planetary heavens. Thus, in the word ΙΑΩ, we encapsulate the entirety of the heavens by means of its middle, beginning, and end. Some magicians expand this into the full name ΑΕΗΙΟΥΩ, representing all seven planets, but ΙΑΩ remains the original name of heavenly power. I’ve also read further explanations about the holiness of this name, relating to the Gnostic creation of the cosmos by the Sophia Achamoth exclaiming ΙΑΩ when prevented from reentering the Pleroma, solar or Tipharethic associations in the Golden Dawn, and lunar-solar connections besides these entirely. It remains that ΙΑΩ is a divine name worthy of our attention, however, and we can analyze its letters on our Tetractys of Life in a way that benefits our meditation. On the first row, there is only one unit, the Monad. There are no other units on this row; the Monad is alone, single, undifferentiated, simple. There is no connection, no relation, no path among other points in this row since there is only one point; a connection can only exist with at least two points. The Monad describes that which Is, but never Becomes; no relationship can exist if there is nothing to relate to. 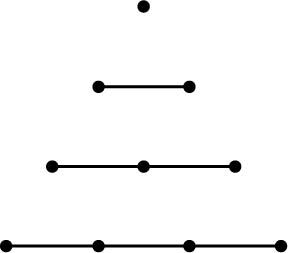 By contrast, the other rows have multiple points, and between each pair of points there exists a relationship; the Dyad has one possible connection, the Triad two, and the Tetrad three. Each point can communicate with its equals, but only those that are nearby enough or close enough in understanding to communicate; thus, the two far ends of the Triad cannot communicate with each other except by means of the center. Compare this to actual human conversation. When there is only one person, no speech will communicate anything, since there is nobody to communicate with. There is only ever the single person alone, so speech becomes as useful as silence; communication becomes a concept that simply cannot apply in this situation. On the other hand, consider two people together; they can communicate between themselves. With three, they can communicate together as well, but only if they are in a harmony where each idea communicated between them flows amongst themselves equally; if two people try to shout over each other, the third drops out of the conversation, so a harmony must be established where each talks to the other by means of the third to mediate and further elevate the conversation. Four people produce this but with even more tension or instability, though again they can let ideas flow between themselves by means of each as a mediator to allow for constant change and refinement. Each path in this pared-down Tetractys, then, indicates a relationship between the forces present within a certain level of manifestation, and we can ascribe one of the letters of the name ΙΑΩ to each path. By this, we understand what the relationship becomes between each force within a level, as well as how the name of ΙΑΩ can illumine us in the work of ΙΑΩ, as well as expanding on our knowledge of the letters themselves present in this schema. However, each level of the tetractys will have a different name corresponding to the number of paths present in each level. The first level of the Monad has no paths. Thus, there can be no letter ascribed to this level of manifestation, since this level is all about the Unmanifest. If there is no letter, there is no speech; this level is about silence, much as I’ve discussed about the Hymns of Silence. The Hymns of Silence are the deepest, ineffable, unutterable prayers and praise we can offer to the One, and stand present and behind everything we say but cannot itself be spoken. The second level of the Dyad has one path, and I give this path to the letter Alpha. Alpha is the first letter of the Greek alphabet, and so represents beginnings and initiations of all kinds. This level of the tetractys represents the beginning formation of creation, with the differentiation of Unity into two Differences, a Positive and Negative, Light and Dark, Male and Female. This is the first step in the creation of the cosmos, and is the first time we have anything besides a single Unity; rather, we can now have our first Union. 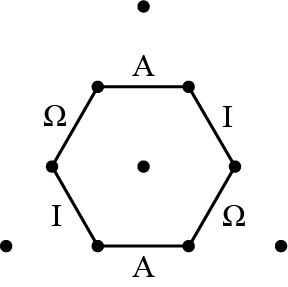 Some ancient Greek philosophers even considered Alpha to be a symbol of the Monad itself, since by isopsephy Α = 1. Further, when writing Greek, the use of Alpha as a prefix (“α-“) signified “not”, much as Latin “un-” or “in-“. 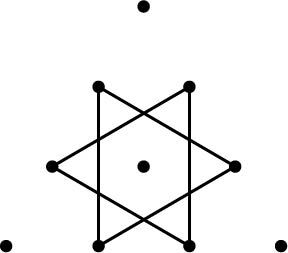 Alpha here indicates what things are not, which is how we differentiate things into two groups; something is Light or it is not Light, thus Darkness; something is Dark or it is not Dark, thus Light. The Monad both is and is not everything and anything, since it cannot be described in any particular or finite terms, but it is by means of Alpha that we can begin to differentiate. The third level of the Triad has two paths, and to these I ascribe the letters Alpha and Ōmega. Now we have two letters indicating two relationships, and these are respectively the first and last letters of the Greek alphabet. Alpha initiates and Ōmega ends, the Beginning Principle and Ultimate Conclusion of all things. However, which path receives Alpha and which Ōmega? I’d contend that both of them get both letters, and each becomes the subject of its own meditation. On the one hand, we have the name (read left to right) ΑΩ, the Beginning and the End, proceeding from the left (passive Salt) to the center (hermaphoditic Mercury), beginning a process of refinement from the base to the sublime, and continuing on to the rightmost (active Sulfur), ending the same process. On the other hand, if we use ΩΑ, we start from the right to the center, starting a procedure of manifestation and materialization, starting with pure spirit and ending with pure body. Alpha and Ōmega could as easily represent either path here, and we can get more information if we figure out what ΑΩ or ΩΑ mean in Greek. They both have an isopsephic value of 801, but ΑΩ can be translated as “breathe” or “hurt”, while ΩΑ can be translated as “eggs”. The former can be understood as a process of respiration or mortification of the flesh to as to obtain new and true life (ascending to the One), while the latter can be interpreted as the process of generation, formation, and ensouling of material forms into new life down here (descending from the One). The fourth level of the Tetrad has three paths, and these receive all three letters Iōta, Alpha, and Ōmega. However, which paths get which letters? Alpha receives the middle path, between elemental Air and Water, since it falls under the topmost horizontal path between Darkness and Light in the Dyad; the path between Water and Air is a “lower register” of the path between Darkness and Light. As for Iōta and Ōmega, a similar case exists with Alpha and Ōmega in the Triad above it; Iōta can be given to either path, and Ōmega to the other. On the one hand, reading from left to right, we have ΙΑΩ; on the other, ΩΑΙ. In either case, we now have representations of the whole heavens and the process of manifestation and becoming and existing in full among the lowest level of elements, the level of substance in the Tetractys. Going from left to right, ΙΑΩ indicates a Solar beginning, a Lunar middle, and a Saturnine end: a process of bright enlivening followed by maturity and growth followed by decrepitude and passing away. This describes how something of base material Earth becomes living Water, which then becomes spacious Air, and then luminous Fire, burning away to dust and out of this world. Reading ΙΑΩ from right to left, however, we then see how pure ethereal Fire becomes gifted with sense and ability into communicative Air, which then condenses into emotional and sensitive Water, which further consolidates into physical, tangible Earth. In either direction, we begin to see how creation and destruction, or materialization and sublimation, takes place in this level as it does a higher level. These have the same types of paths as before, but this time they’re on different “rows” of the tetractys. I claim that each one of these, the horizontal set, the right-down, and the left-down set, each can be used in a type of meditation on the name ΙΑΩ but with different “seed” letters. For instance, we used Alpha as the seed letter for the path that connected the Dyad, then augmented Ōmega in the Triad, then augmented Iōta in the Tetrad. These other two tetractyes (yes, that is the plural of tetractys) can be set up such that they each have a different seed letter. But which should be which? Consider that, as we descend from the Monad to the right, we increase in a level of materialization (increasing the amount of differentiation and the ways of becoming more complex) but in a more active way: from the Monad we reach Light, then Sulfur, then Fire. If we start at the Monad and descend to the left, we increase in materialization but in a more passive way: from the Monad we reach Darkness, then Salt, then Earth. Taking a combination of left and right paths as we descend can yield different combinations of activity and passivity. Thus, right-going paths increase in activity, and left-going paths decrease in passivity. Horizontal paths, however, change the level of passivity or activity without changing in materialization. So, which of these two tetractyes should start with Iōta and which with Ōmega? If we use grammatomancy for this, Iōta is assigned to the Sun, an active and masculine planet and associated with Sulfur, and Ōmega is assigned to Saturn, a passive and feminine planet associated with Earth. Thus, the right-going tetractys should start with Iōta as the seed vowel (connecting the spheres of Salt and Water), while the left-going tectractys should start with Ōmega (connecting the spheres of Sulfur and Air). The last connected row of these tetractyes would have that same seed letter in the middle path, with the other two letters around it; the right-going tetractys could have its tetradic paths read as ΩΙΑ or ΑΙΩ, and likewise the left-going tetractys could have its tetradic paths read as ΙΩΑ or ΑΩΙ. 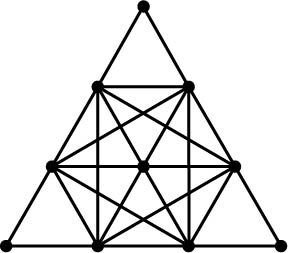 As for the triadic paths, however, which should be the letter we augment to the original seed? If we started with Alpha and augmented it with Ōmega in the horizontal tetractys, Ōmega is the next-most passive letter to Alpha, since Alpha began the process of differentiation in that tetractys and Ōmega provided a means for it to continue. Thus, for the right-going tetractys with the seed syllable Iōta, we should augment it with Alpha, since Alpha is more passive than Iōta but not as passive as Ōmega (note how Alpha follows Iōta in the word ΙΑΩ). Conversely, for the left-going tetractys with the seed letter Ōmega, we augment it with Iōta, because at the most extreme end of passivity that Ōmega represents, the only thing that can counter it is extreme activity, represented by Iōta. With these paths, we lack a single-letter name and a two-letter name, but we have all possible three-letter names to meditate on depending on where and how we want to start. More importantly, these paths form a cycle, a loop that can be continued on indefinitely, as opposed to the other path names that terminated. Yet, by connecting them back to the other three tetractyes, we can form even more complex names that can consist of any combination of the letters Alpha, Iōta, and Ōmega. Yet, because these paths cycle indefinitely with no distinct start nor end, it’s difficult to say whether these particular paths can be used for vocal meditation. Rather, these paths indicate the many faces and paths of the name ΙΑΩ as a whole, a unit, a process that, though it may appear distinct, forms part of an undifferentiated Whole, the Monad. This fourth set of paths on the tetractys is especially interesting because these paths don’t follow the same rules as the other paths that “stick to their rank”, as in the horizontal tetractys, nor do they indicate a part of manifestation from or sublimation to an original source, as in the right-going or left-going tetractyes. 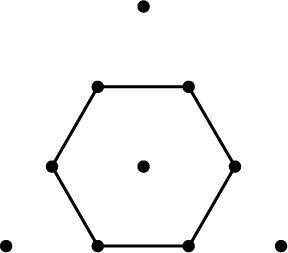 Rather, these hexagram paths indicate something else entirely, a kind of communication or hidden link between forces of different rank and, sometimes, of different levels of activity and passivity, that can bring one to a whole new kind of understanding entirely that wouldn’t be obvious from the more rational or generational models of cosmic gnosis. This helps us understand the difference in the types of paths that we’ve seen, not only to better understand the nature of change, ascent, and descent within the Tetractys of Life, but also to understand the paths themselves and how they can be grouped in different ways. We’ll continue this soon as we begin to look at how we can use this foundation to build a set of correspondences between the paths themselves and the Greek letters. This is a kickass post. Nice one. Loved this one. Really interesting work with the name. I’m going to come back to this one, especially since the ΙΑΩ has become more important in my practice lately. I will throw this out, though: the name of the Most High in Cherokee is Yo-wa. According to some highly traditional people I used to keep up with, there was a certain degree of taboo around that Name, too: not as extreme as the Hebrews had it, but a serious caution about making sure you were pure before speaking it. Now I’m starting to get a feel for this system. Awesome job.